Mars is about to get its first U.S. visitor in years: a three-legged, one-armed geologist to dig deep and listen for quakes. ASA’s InSight makes its grand entrance through the rose-tinted Martian skies on Monday, after a six-month, 300 million-mile (480 million-kilometer) journey. It will be the first American spacecraft to land since the Curiosity rover in 2012 and the first dedicated to exploring underground. Once flight controllers in California determine the coast is clear at the landing site—fairly flat and rock free—InSight’s 6-foot (1.8-meter) arm will remove the two main science experiments from the lander’s deck and place them directly on the Martian surface. The astronauts also left behind instruments to measure moonquakes. 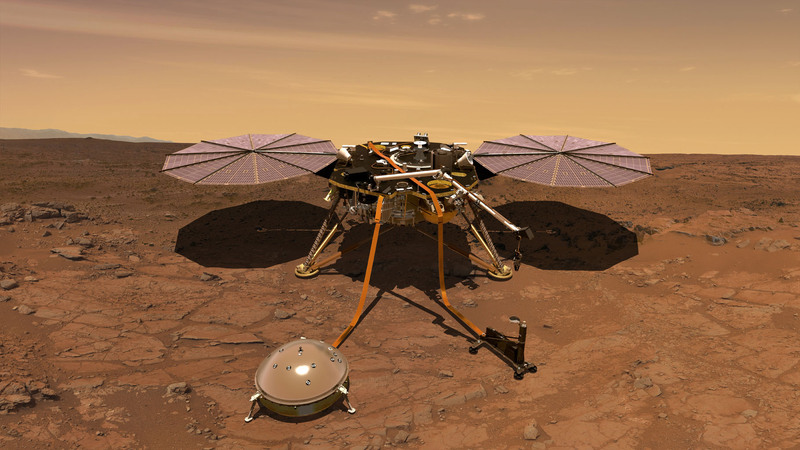 InSight carries the first seismometers to monitor for marsquakes—if they exist. Yet another experiment will calculate Mars’ wobble, providing clues about the planet’s core.